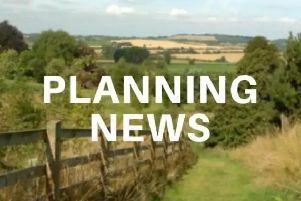 Millions of savings proposed by in-crisis Northamptonshire County Council to balance its books this year cannot be made. The authority has a deficit of more than £53m this financial year and had set out a series of cost cutting measures to try and make sure its books will balance this April. However a finance report to go before the cabinet next week will reveal that £12.4m of the proposed savings are a non starter and a further £2.6m are looking very likely to be ruled out as well. The authority’s new chief executive and two commissioners plus a team of senior officers have been delving into every contract and department budget to try and get the authority out of the huge financial hole it has gotten itself into. A stabilisation plan detailing millions of saving was published but with just five months to go until the financial day of reckoning in April it looks like there is still much more work to be done. Liberal Democrat Chris Stanbra said the officers had laid out a series of different areas where savings could be made but had not made it clear whether these were short term or long term savings. £4.95m of planned savings in its adult social care department now cannot be made and a further £1.2m of savings in its children’s department are non starters. Almost all of the planned savings from adult social services related to the Shaw Healthcare PFI arrangement cannot now be realised. The county is paying £8.8m annually to the company for beds to look after its elderly but more than 100 beds across four care homes are lying empty each week because the terms of the arrangement means that certain patients are not eligible to be admitted for care. The authority also has to deal with the £35m from last year that it overspent. In May the council declared it had managed to balance its budget but auditors KPMG then ruled out some of the accounting measures meaning that the authority had finished in the red. A bid has gone into central government to ask for a special dispensation to allow money made from capital receipts to be used to plug this gap. The authority is still waiting to hear whether this will be allowed. The council needs to be in a healthy financial position before it is wound up in May 2020 and replaced with two new unitary councils. Leader of Daventry Council Chris Millar has this week criticised the council’s efforts to get its finances in order and fears that a big debt could be handed down to the new authorities.